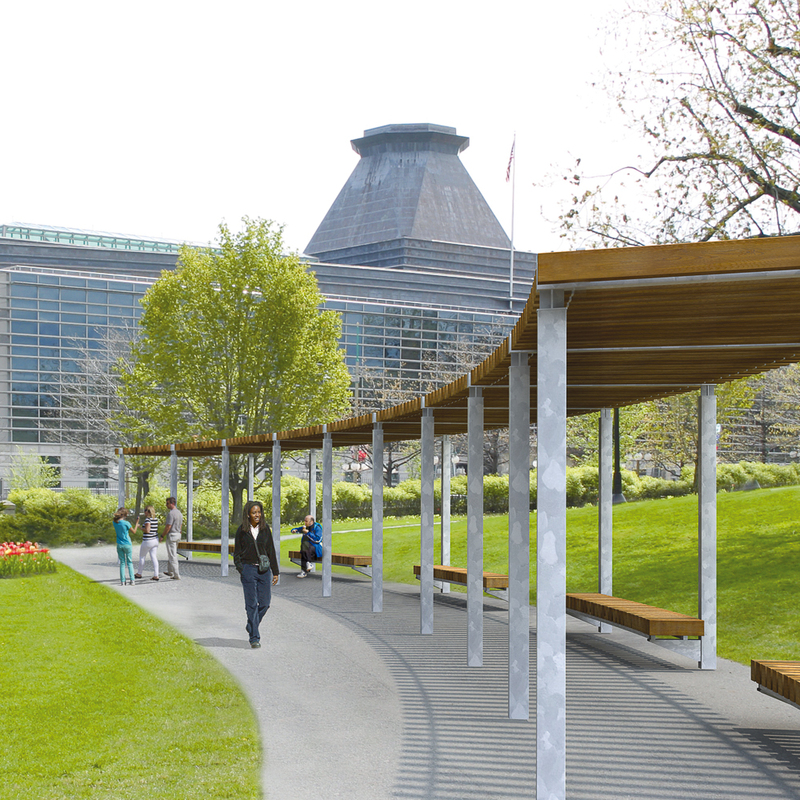 Part of Streetlife’s Rough&Ready product range, Rough&Ready Shades Curved offer a modular shade solution for public spaces. The Rough&Ready wooden beams measure 7x15 cm - 2.8”x5.9”. The beams are fitted onto heavy gauge Streetlock® combs that are fully integrated with the structure, satisfying both function and providing an attractive form. 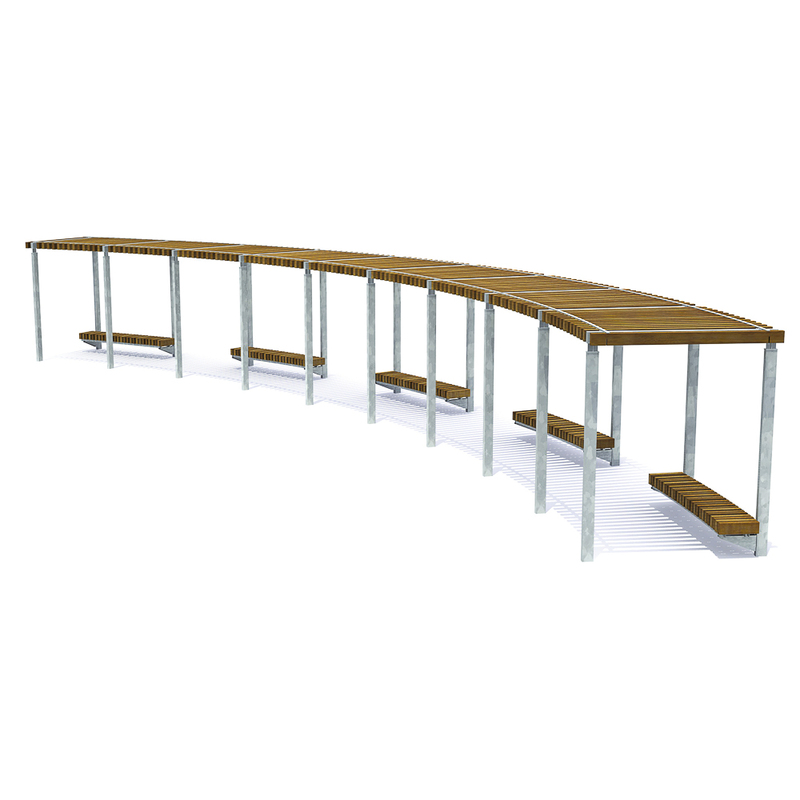 The beams are only available in light and durable W-Wood® in honey brown colour. 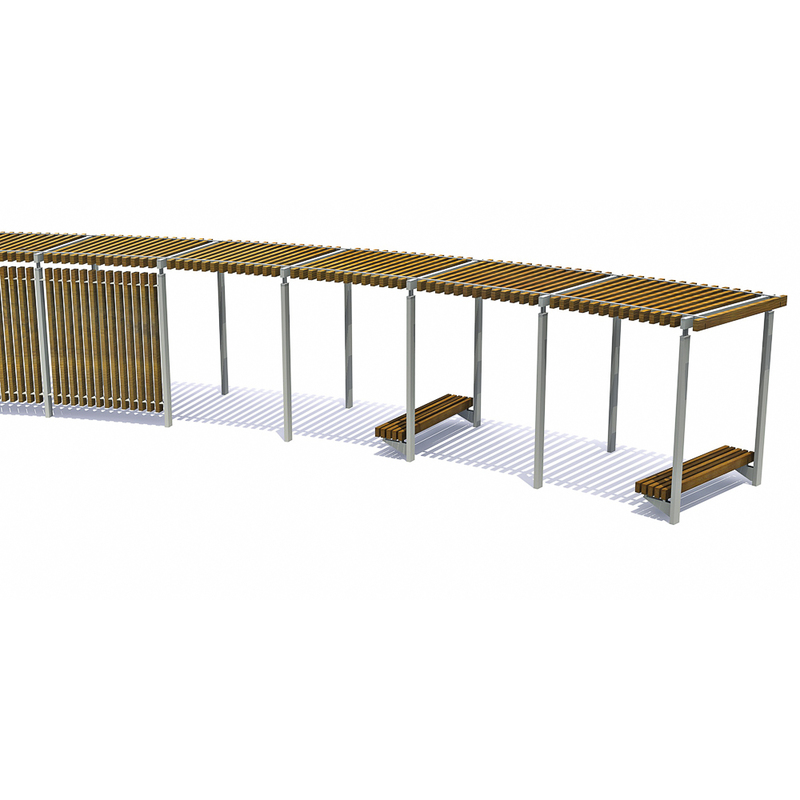 The steel structure can be galvanized or finished with an RAL- coating. 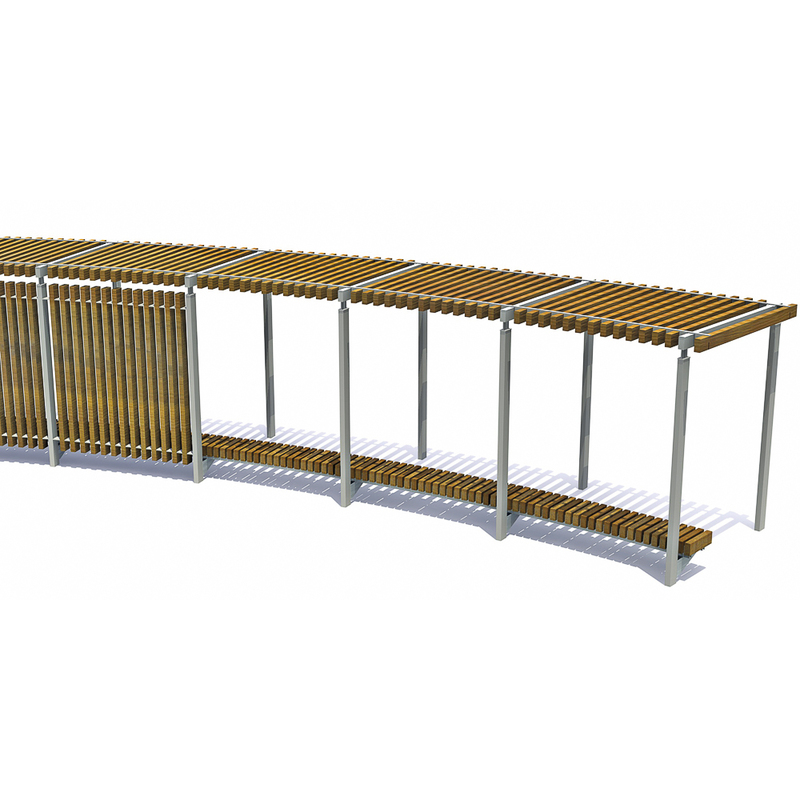 This modular system allows for a variety of lay-out configurations, including circular shaped-structures with a minimum radius of 10 metre as well as straight and angular arrangements.